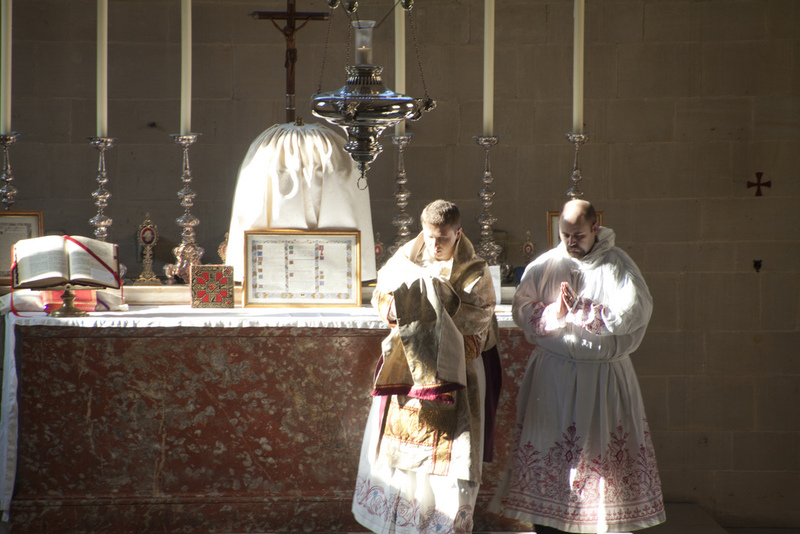 New Liturgical Movement: Should An Icon Be Veiled? In a recent discussion about the tradition of placing metal cladding around some icons, it was suggested that one purpose of the cladding was to convey a theological message. It performed the function of veiling of outward appearances in order to reveal an inner holiness. This point is worth further discussion I think. My understanding of this principle is not sophisticated (and so may by flawed or incomplete) but nevertheless here it is: that in order emphasize the point that there is an invisible reality beyond what is seen of a particular object, some of the visible elements are veiled in order to emphasize, and so to reveal to us, this inner, or invisible, reality. This is true for all veiling - human veils, humeral veils, chalice veils and so on. How does this work? First veiling is not hiding. When veiled the form beneath may not be visible directly, but it is still perceptible albeit in a less distinct form. We know what is veiled. For example, the form of a person is still discernible when clothes are worn. The form of the chalice is still recognizable even when veiled, as much by how it is handled as by the outer modified form. It relies on our knowledge of what is beneath it. If we did not know what a woman is, or a chalice is, we would not have a sense of a chalice veiled, but rather of an object in which the fabric we see represents the surface of it and is intrinsic to it. When we recognize a veiled object, it makes the point that there is an inner reality that is not directly visible. So the veil is visible, but beyond it is the chalice, perceptible but invisible. In grasping this reality, it makes the point to us that the object itself, even when unveiled, has essential elements that are both visible and invisible. When unveiled, we can be so absorbed with the visible elements that perhaps we fail to grasp fully the invisible realities. So the partial hiding of the visible elements allows us to focus on the invisible.